The Pioneer DEH-X8800BHS lets you control content from the Spotify app on iPhone and Android devices directly from select Pioneer receivers. Play, pause and skip tracks using the Pioneer controls, and with a few button presses easily browse playlists, albums, and radio stations on the go. From hands-free calling, wireless audio streaming with artist, album, and song search, simple pairing, and voice recognition, Bluetooth wireless technology has made life in the vehicle much more convenient. The Pioneer DEH-X8800BHS with Bluetooth also includes better call quality reception using the new Wideband Speech Handsfree Profile 1.6. Nearly doubling the bandwidth of the frequency helps bring call quality similar to FM reception. The Pioneer DEH-X8800BHS features Dual Bluetooth and “Guest Mode”. Dual Bluetooth allows two phones to automatically connect when in the vehicle to easily make and receive calls and stream music from both phones. Guest Mode allows a user to add and replace a third mobile device instantly to the receiver. Guest Mode is a great feature for a family vehicle with multiple drivers or a driver with multiple devices because it allows users to pair and delete devices easily without a lengthy registration or deletion process. Other features include the ability to browse music libraries on smartphones wirelessly. In addition, iPhone Bluetooth pairing allows the user to connect an iPhone via an appropriate USB cable to pair with the Pioneer DEH-X8800BHS; it’s that simple. This feature is great where there are multiple devices active and you are trying to search for and connect to a certain device. With built-in Bluetooth wireless technology, the Pioneer DEH-X8800BHS provides the ability to utilize the voice recognition engine that is part of the operating system on a user’s smartphone. This feature is compatible with iOS devices that have voice recognition capability. Users with an iPhone 4s or newer can take advantage of Siri Eyes Free functionality with a touch of a button. When activated, Siri voice prompts play through the vehicle’s speakers and the user’s commands and questions are received and transmitted to the receiver using the external microphone. Siri Eyes Free provides access to many iPhone functions such as music selection, making phone calls and listening to text messages, calendar information, and reminders. 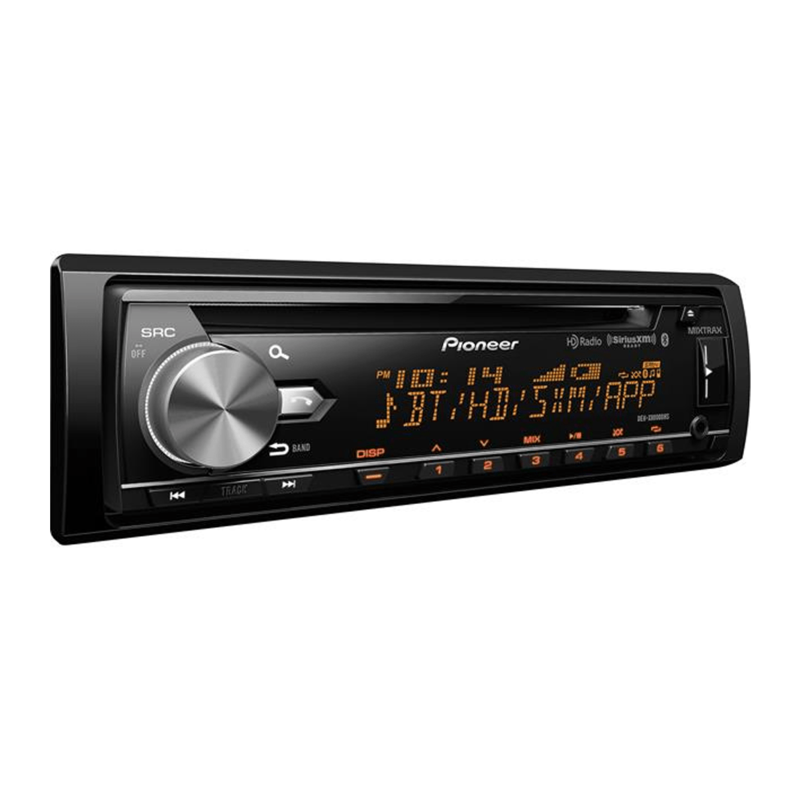 The Pioneer DEH-X8800BHS features a built-in HD Radio tuner allowing you to enjoy your radio in an all-new way. With HD Radio, you can listen to the radio in the same unmatched fidelity as your digital music. Your FM stations now with CD-quality sound, AM stations now with FM-quality sound, and crystal-clear reception with no audio distortion. Discover new music and content with multi-cast programming available on select stations – all 100% subscription free! 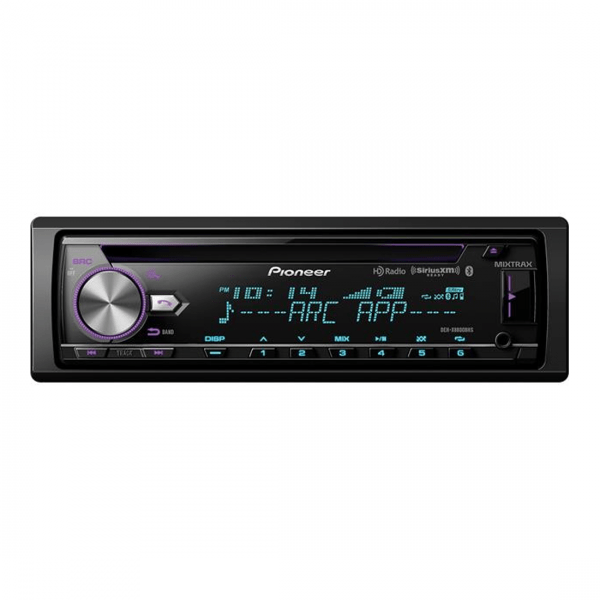 With the Pioneer DEH-X8800BHS, you can enjoy superior sound quality and full control of the Pandora experience in your car directly from the touchscreen display of the receiver. You are able to give tracks “thumbs up” or “thumbs down,” bookmark a song so you can purchase it later, easily switch between your personalized radio stations, and view full track data. Pioneer has made it even easier to discover more of the music you like. 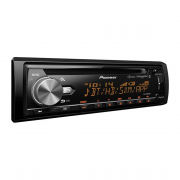 The Pioneer DEH-X8800BHS features Advanced Pandora Station Creation, allowing you to create new Pandora stations from the current playing song or artist while listening to sources such as iPod or HD Radio, even when you’re not listening to Pandora. In-dash control for Pandora is compatible with both iOS and select Android devices. Simply download and launch the free Pandora app to your device and connect it to the Pioneer DEH-X8800BHS to take your music to the next level. iOS devices require a wired connection using the CD-IU51 USB interface cable for 30-pin devices (sold separately) or CD-IU52 USB interface cable for Lightning devices (sold separately). Android devices need to be paired to the receiver via Bluetooth while the Pandora app is running. Your love of high-res audio does not need to stop at the front door. 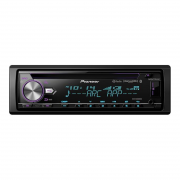 Now for the first time in an aftermarket CD receiver, you can enjoy FLAC files in your vehicle without the need to convert. The Pioneer DEH-X8800BHS offers playback of files encoded as high-res FLAC up to 44.1 Hz/16 bit and provide playback output at CD quality. With Pioneer, your high-res FLAC is no longer confined to your home hi-fi system – put your music on the move. Connect an iPod or iPhone to the DEH-X8800BHS using the optional CD-IU51 interface cable for 30-pin devices (sold separately) or CD-IU52 interface cable for Lightning devices (sold separately) to enjoy the music stored on your device. Song, artist, time and album information are displayed on the LCD display. The Link Play feature helps you find content faster and the system’s wired USB connection provides direct digital signal transfer from the device for clean, clear sound while providing 1 amp of current to keep your iPod or iPhone charged. As an added bonus, the DEH-X8800BHS is able to utilize the voice control feature found on your iPhone. With an iPhone connected to the receiver via Bluetooth and the receiver source set to “Bluetooth audio” or “iPod,” simply press the volume knob, wait for the prompt, and speak your command as you would on your iPhone. Users of Android devices running operating system 4.0 or later can connect and listen to music stored on their device to the DEH-X8800BHS without the need for an app. The process is made possible using Media Transfer Protocol (MTP). MTP allows the CD receiver to recognize the Android smartphone as a music storage device. Users can now access music via USB stored on an Android device and operate basic operations like FF, REW, Play, Pause, Random Play, and Repeat. Metadata information such as track, artist, and album name can be displayed.